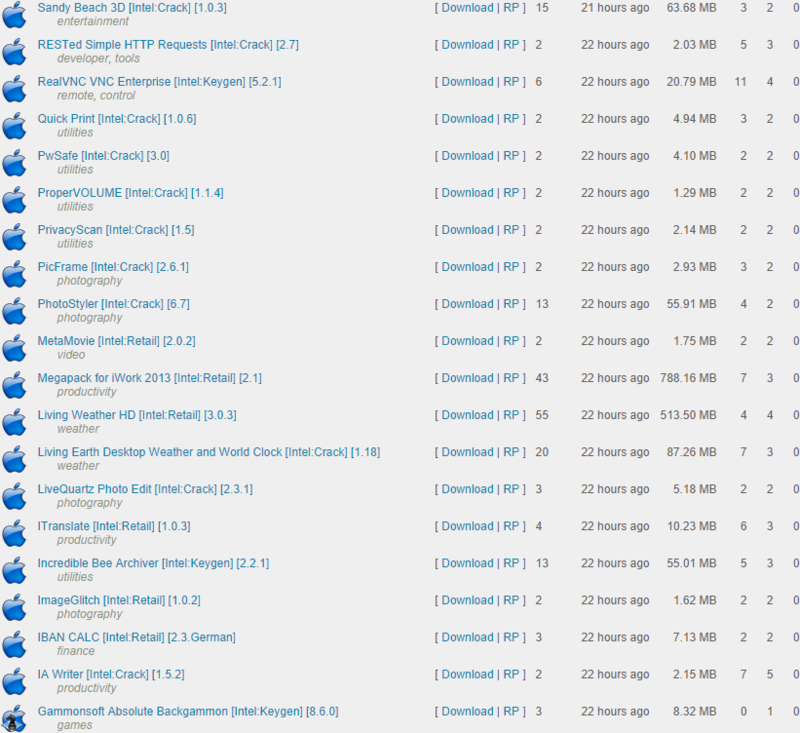 Mac Torrents is Open for Application Signup! Looks like a cool site with gazelle being a bonus. BrokenStones is now back with Gazelle. It’s nice to have two great Mac sites in the community. Haven’t gotten an activation email..
Was a member at Brokenstones and can’t get my account reset, no way to contact them????? It’s open now. Just signed up. I had an account but it became old as i didnt use it. How can I get back that account or how can I get a new account….pls tell me…. I am not getting confirmation email from this tracker… tryed 2 emails, didnt arrive to any of them..
Any idea when you will open the sign up again? All I can tell you is to keep your eye out this week. It’s ON… I just registered but I haven’t received any email confirmation (even on my spam/junk)..
Can MT Admin please check whether the email registration system is fixed? Thanks..
We just had a temporary glitch with our config. You’d need to reregister to fix this. You can do that, or if you want you can come to #help on IRC at irc.mac-torrents.me. If you really want to, you could even post it here. So sorry about this! Email approved. Try logging in now. I have used 3 different browser.is there any problem? I have been waiting 3 days for the confirmation email to arrive. Any suggestions? Email is still down? I’ve been waiting for the confirmation email for a while now. irc server is also timing out. I haven’t received any email either. What does “(UPDATE YOUR BROWSER FIRST)” means? I’ve tried other browsers and got the same message. Nevermind, just got the email, and the application was sent successfully. I signed up a few days ago and got the email immediately. My roommate told me about this site, and said they asked a bunch of followup questions after applying. They accepted me immediately, but my friend never used a private tracker before, so to anyone who wants to apply, I think they value previous experience. You upload a screenshot of your ratio for them. So who actually reads the apps? Staff? A combination of staff and carefully selected members (whose names are confidential). Previous experience is valuable because it asserts that you are real and actually interested in the torrenting community. Additionally, it provides application readers of a ratio that they can expect from you. Is this site dead or alive? I would say that it must be dead. Can’t connect to their IRC. Lodged an application, no response ever. All apps are responded to and the IRC is not dead. The information here is incorrect. How long does it take to get an application approved? I filed mine a day ago. No response as of yet. I’ve been a Mac user since the pre-OS X days. I even used Carracho in elementary school. There’s a piece of software I’m trying to find which isn’t on any other sites. I’m assuming Mac Torrents would have it. lol Just got approved now. I’m Having trouble submitting my application.. the application system seems broken on my end. any advise? I’ve filed at least 10 different applications at Mac-torrents and have never received a response. Each time I log back in, the application has been deleted. 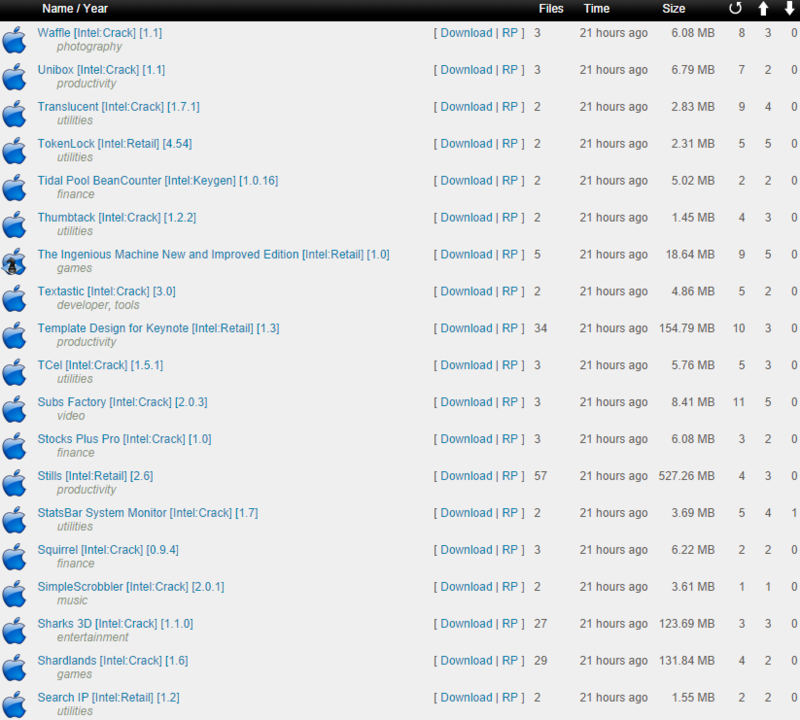 I’m a member in good standing of several high level private trackers, and have a huge seedbox as well. I wouldn’t trust this website. These assholes don’t even check their damn application log. You expect people to wait for years for ya’ll to get back and reply? Iv been looking for information as well. Cant find anything. Anyone know how to get in Contact with Admins as I forgot my Account Info? I’m a member of your site and have been for years. You’ve been down for at least a week. What is wrong this time? Are you finished or just having technical problems?